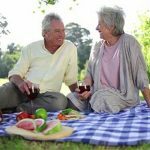 If you are given a chance to list a few fun or gaming activities for seniors you would add crossword puzzle, scrabble or bridge but there would surely be a hesitation for bingo. It has been seen that people’s attitude towards bingo is often influenced by their age. Some people see it as a fun party game which does not challenge intellect. It is not boring but you may consider it unfavorable in compare to the games which hone cognitive skills in the old and the elderly. However, such statements are not borne out entirely by the reality. 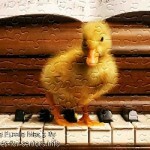 It sharps your mind improves concentration level. 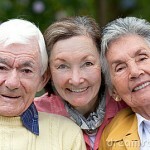 It has been ranked among the activities for seneiors for its added advantage of social benefits. Old and the elderly in the family are quite often found searching their specs or the keys or sometime else. They are even found wondering for different situations like, “whether I locked the house or not”, “have I closed the bedroom window”, “was the bathroom tap open when I was leaving for the walk” and blah blah blah. It shows their lack of concentration and also their short term memory. For that matter, bingo can be an ideal gaming activity for seniors. Its rules are simple but the game requires close concentration so that number called out are listened and marked on time. Most bingo players say that the more they played the better their concentration became. This has now been proved through researches as well. Bingo is a fast pace game. The game has few winnings slots that come randomly before the final bingo. 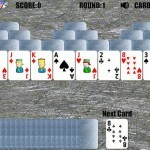 There is prize for every winning slot which keeps the interest of the players alive throughout the game. When the caller calls out the number, the players must quickly recognize whether he or she has a winning card or not and immediately shout out their claim. Once the game moves on or the caller has called another number they cannot claim their winning and have to miss the prize. To win the game or a slot they have to be quick on their action. There must be a pace in their hearing, marking and recognizing the winning card. Those who suggest activities for the elderly always suggest bingo as a group game for seniors for its tremendous health and social benefits. Elderly are found isolated in the society. Their families may be living in some other cities and they are not able to go out as frequently as they used to. Their age and health bound to force some limitations in their lives. 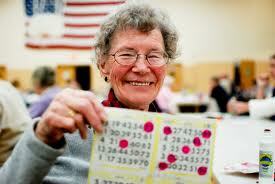 Participating in a bingo game can add a lot of fun and socialization in their depressed and dull lives. Kind of socialization keeps their depression at bay. Some good company, lighthearted movements, shouting out on the win, this is all about the game of bingo that not only contributes to a declining intellect but also to a decline in the interest from the life. It is one among various activities for seniors that keep their spirit elevated.